Wellington is a quaint thriving town of 1700 people. 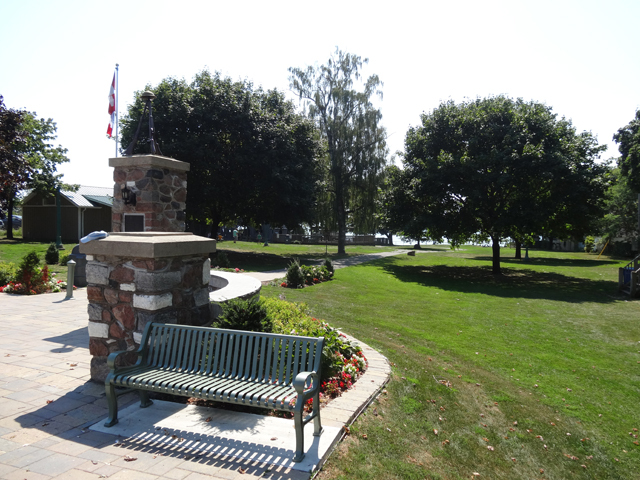 It is located on the north shore of Lake Ontario in the heart of beautiful Prince Edward County. It boasts a central position amongst the many wineries in Canada’s newest VQA wine region. Wellington has many kilometers of waterfront which overlook the largest freshwater sand dunes in the world located in Sandbanks Provincial Park. With modern docking facilities, the main dock at the harbour is a designated telephone reporting landing site with Canada Border Services, for boaters arriving from the United States. Wellington’s roots date back to 1799 which is reflected in the fine old architecture of some our homes. One of Ontario’s oldest homes, built in 1786, is nestled right in town. Many of its original settlers were United Empire Loyalists and some of those families have lived here for generations. Now this beautiful town hosts visitors from all over the world. Our visitors come in search of a perfect vacation and are not disappointed! Many people flock to the County to visit beautiful Sandbanks Provincial Park but our offerings don’t stop there. Right in town is our own town beach with a beautiful boardwalk along the shore to a lighthouse. North Beach Provincial Park is on the edge of town and draws many of those seeking to discover all the beaches of Prince Edward County. As if all that natural beauty wasn’t enough you can stay in a cozy B&B, Inn or Lakeside Cottage while you dine in some amazing restaurants that range from a lovely café to a gourmet eatery experience! Spend a few days tasting some wonderful new wines at an awesome range of wineries while you browse the studios and galleries of artists of every description. Golf, kayak, cycle, fish, practice yoga and watch the birds! You can do it all in this jewel of Wellington. Wellington…a great place to live. It’s a place where locals stop their cars for jaywalking squirrels or pedestrians, where there is only one traffic light and a convertible car is a basic necessity! Wellington…a cool place to visit in every sense. A place you’ll never want to leave.